Michael joined Watsi on September 22nd, 2015. One year ago, Michael became the 3094th member to automatically support a new Watsi patient every month. Since then, 1,992 more people have become monthly donors! Michael's most recent donation traveled 8,700 miles to support Rahim, a boy from Tanzania, to fund orthopedic surgery. Michael has funded healthcare for 19 patients in 8 countries. Sophan is a farmer from Cambodia. She has three daughters and two grandchildren. She enjoys listening to the news on the radio. 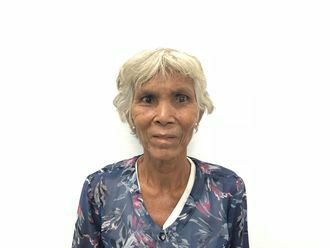 A year ago, Sophan developed a cataract in each eye, causing her blurry vision and clouded lenses. She has difficulty seeing things clearly, recognizing faces, and going anywhere outside. When Sophan learned about our medical partner, Children's Surgical Centre, she traveled for four hours seeking treatment. On January 3, doctors will perform a phacoemulsification surgery and an intraocular lens implant in each eye. After recovery, she will be able to see clearly. Now, she needs help to fund this $398 procedure. Her brother says, "I hope my sister can see better and won't have vision problems anymore." 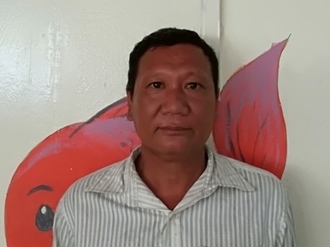 Yuk is a rice farmer from Cambodia. She has two sons, five daughters, and twenty grandchildren. She likes to go to the local pagodas and to listen to monks pray on the radio. One year ago, Yuk developed a cataract in her left eye, causing her tearing, irritation, itchiness, and photophobia. She has difficulty seeing things clearly, recognizing faces, and going anywhere outside. When Yuk learned about our medical partner, Children's Surgical Centre, she traveled for three hours seeking treatment. On July 4, doctors will perform a small incision cataract surgery and an intraocular lens implant in her left eye. After recovery, she will be able to see clearly. Now, she needs help to fund this $211 procedure. 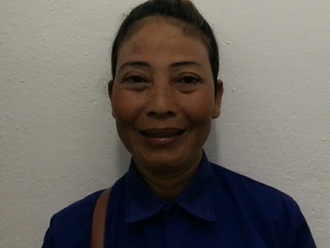 She says, "I hope my vision is improved after surgery so I can spend time with my family and lead an independent life." Naomi is a young student from Kenya. She is the sixth born child in a family of eight children. Her mother sells vegetables in a small grocery shop, while her father is a construction worker. Naomi injured her left femur in early April 2018. She had a cast applied, recuperated well, and was ready to resume school. Unfortunately, she fell on the school stairs and broke her femur in the same location around mid-June. It is difficult for her to walk, and she has not been able to attend school. Fortunately, surgeons at our medical partner can help. On July 3, Naomi will undergo a fracture repair procedure, called an open reduction and internal fixation. This procedure will help her walk easily again. Now, our medical partner, African Mission Healthcare Foundation, is requesting $1,451 to fund this procedure. Naomi says, “My prayer is to get well and resume my studies. I want to excel and join a national high school." Paw is an eight-month-old energetic baby girl from Burma. Both her siblings attend school. Her family rents a piece of land, where they grow crops that provide them with food throughout the year. 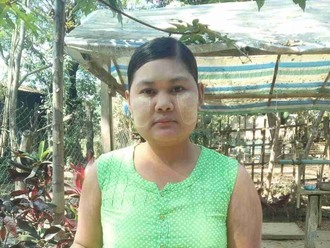 In March 2018, Paw fell off a stack of leaves her father had collected to thatch their house. The leaves were on top of bamboo sticks. When Paw fell, she hit her right thigh on one of the bamboo sticks and fractured her femur. Paw's thigh is swelling and she cannot move her leg. 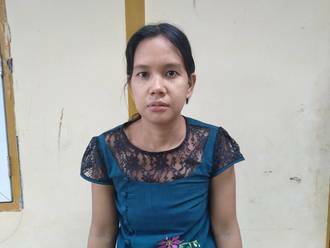 With the help of our medical partner, Burma Children Medical Fund, Paw will undergo surgery to reset her fractured bones and ensure proper healing. The procedure is scheduled for March 7 and will cost $1,500. Receiving this procedure will allow Paw to heal properly and learn to walk. “I hope my daughter will get an easier life and become an educated person. We will support her in whatever she wants to do. I do not want her to be a farmer like me, because it is a hard and difficult life," said Paw's mother.